The famous daytime soap All My Children has moved from ABC to Hulu Plus with rebooted characters and lives on to reach out to a new audience. 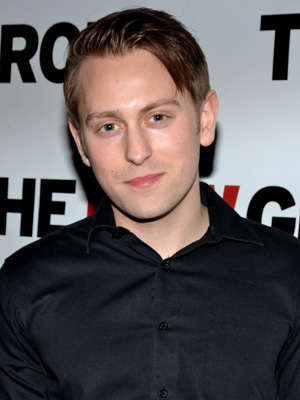 Actor Eric Nelsen talked with Dispatch Radio about the show, his role as A.J. Chandler and the legacy of the show. After the ABC show ended, the rebooted version takes place five years later with A.J. and Miranda Montgomery, played by Denyse Tontz, both as teenagers and Nelsen hopes the show can regain fans from the high school demographic. Julia Barr and Ryan Bittle return as their iconic characters Brooke English and JR Chandler as the show has completed their first full season on Hulu Plus. Eric even earned a Daytime Emmy Award nomination and discusses the appeal of the show. Nelson stars alongside Liam Neeson in the upcoming film A Walk Among Tombstones which arrives in theaters in September. Some of his other projects discussed during the interview: Chasing Yesterday, Happy Baby, Best Man in the Dark and much more…including talking about being a newlywed, getting a new puppy and relocating to California. Watch AMC on Hulu Plus – HERE 43 Full Episodes!! !